A hydraulic auger attachment rental for Bobcat equipment large and small, and universal to mini loaders and compact loaders across brands. 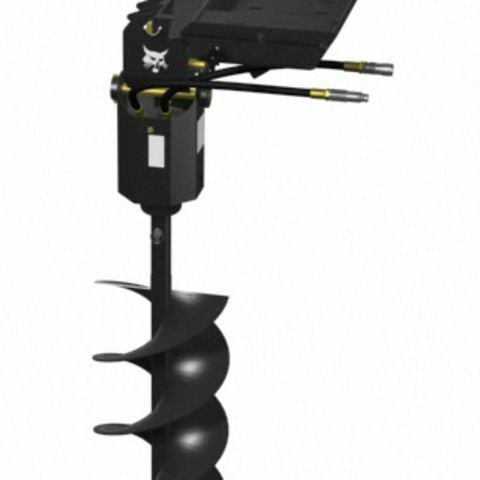 With heavy-duty hydraulics, thisauger power head rental can be fitted with bits from 9 inches to 30 inches, and drill to a depth of 58 inches. Simply position the Bobcat equipment into place, then put the high-torque drill to work even in rocky soil, Plus, with a range of bit sizes and types, you can tailor torque and speed depending on which is more important for your job. A direct drive offers a higher rpms for easier drilling, while a planetary drive option provides more torgue for tougher ground and larger bits.